FREQCON is represented in Poland by the experienced organization Griffin Group Energy located in Warsaw. 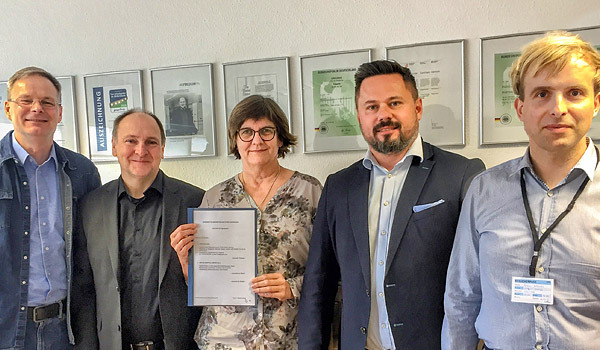 The agreement became active in March 2019. For a better market presence and to be able to optimally serve our customers in Poland, we have chosen an established partner with a high quality standard and a large network in the industry and the energy sector”, says Gregor Scheppelmann, Sales and Marketing Manager. “With our U-UPS solution, we intend to reach the industry in particular and we see a great potential in the Polish market”. With the U-UPS (Ultracapacitor Uninterruptible Power Supply), FREQCON offers an uninterruptible emergency power supply for short-term grid failures. This system automatically reacts to a “grid event” and takes over the load supply using the integrated energy storage. Founded in 1991, Griffin Group specializes in comprehensive project management and acts as a partner to the world’s leading energy providers in the Polish market. We are looking forward to a good cooperation with the Griffin Group Energy team!